Happy Friday to all you #IrishWhiskeyMonth party people! It’s finally spring in NYC and I’m so happy not to be wearing a million layers, and a jacket, and a hat, and gloves, and giant snow boots. 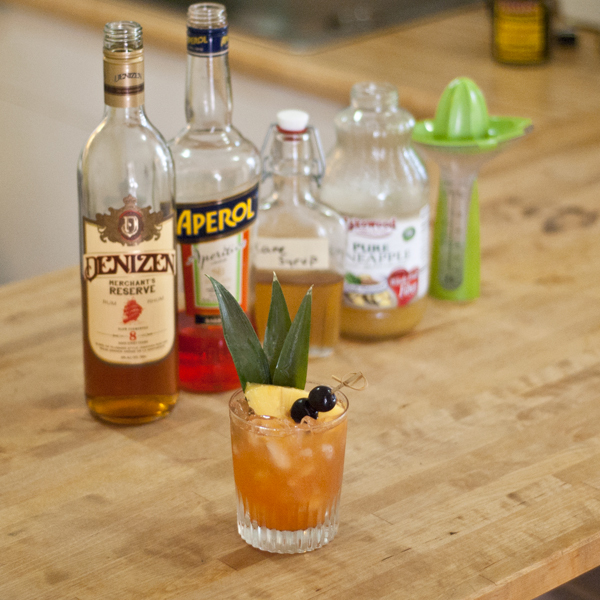 To celebrate this change of season, I’ve made a Tiki Drink with Teeling Small Batch Whiskey. If you wanna join the fun, use the hashtag #IrishWhiskeyMonth on Instagram and I’ll repost your photo! 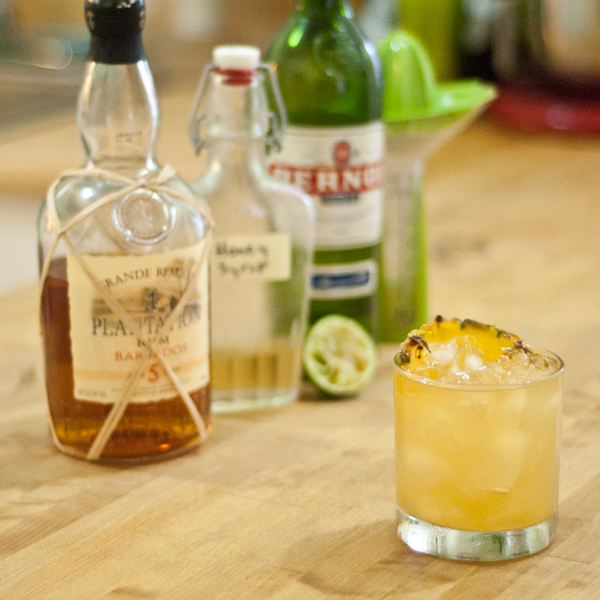 The only rule is that you have to include Irish Whiskey in your cocktail. Hello dreamy umbrella, cherry & piña. You make me wanna swoop off to a tropical beach! I knew the Orange Flower and Almond notes in Orgeat Syrup would go well with Apricot. Lastly, Lemon Juice for acid, length, and to balance the sweetness. 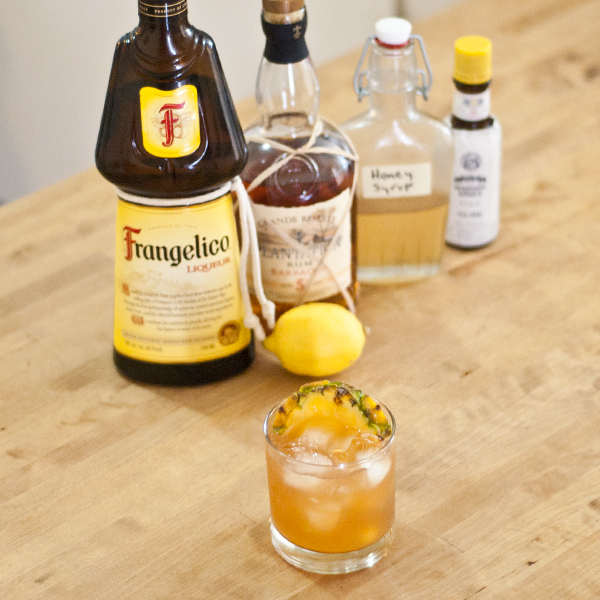 This combination of flavors was also inspired by two classic cocktails: an Army & Navy and a Colonel Cocktail (1937 version: Whiskey, Apricot Liqueur, Grapefruit, Simple Syrup). The name of the drink is an homage to the two cocktails mentioned above, except that the commanding officer in question is on holiday. The Captain has left the ship, is headed to a deserted island, and is on leave. Don’t call, he won’t pick up the phone. Combine ingredients over ice and shakity-shake-shake. Strain into double rocks glass over crushed ice. Garnish. Tiki time. Suuuuuuper dreamy. Welcome to the weekend y’all! Have an excellent #IrishWhiskeyMonth! Friday! IMPENDING SNOW STORM FOR NYC! Bring it onnnnnnn y’all! Since all 8.5 million of us will be stuck in doors, we might as well Tiki The Snow Away! Get yer striped sails, Pineapples, and Maraschino Cherries ready y’all! We’re stealing a boat and heading south for the winter! Morris Kitchen Grenadine: has a fair amount of vanilla and orange flower water in the syrup. Thick and viscious. HIGHLY RECOMMEND. 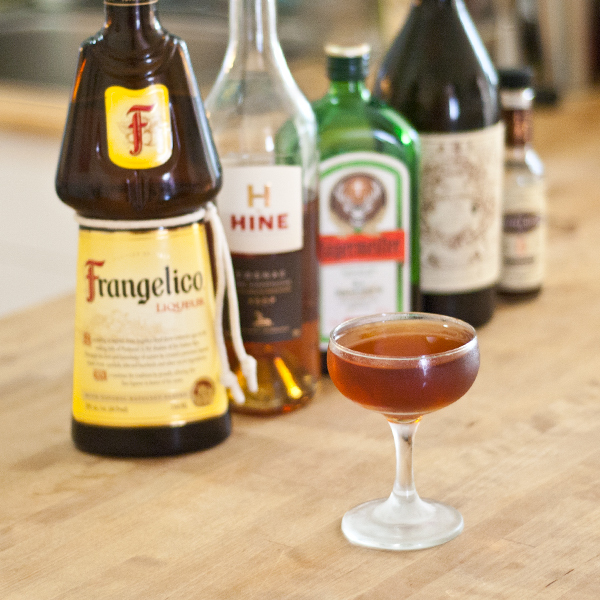 Jägermeister: I’m constantly inspired by the ultimate spice machine that is Jäger. Seriously y’all, it goes so damn well in cocktails, especially with aged Rum. 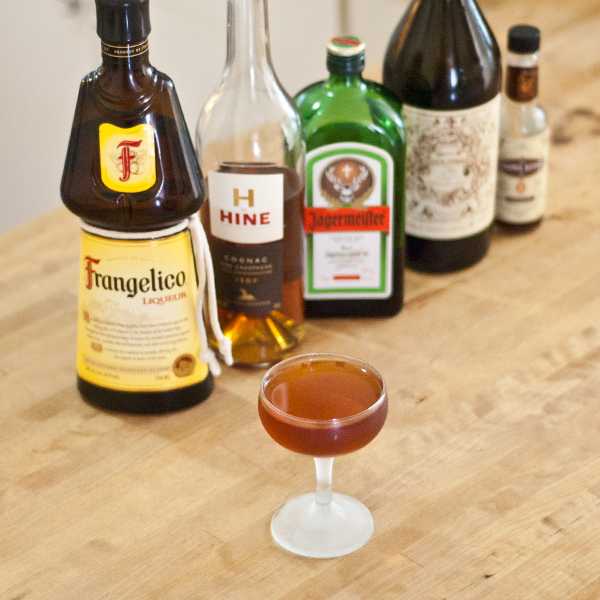 Lustau Amontillado Sherry: the nuttiness goes so well with Jäger and this particular Grenadine. Lime: I needed citrus and I like how Lime interacts with Jäger and Grenadine. 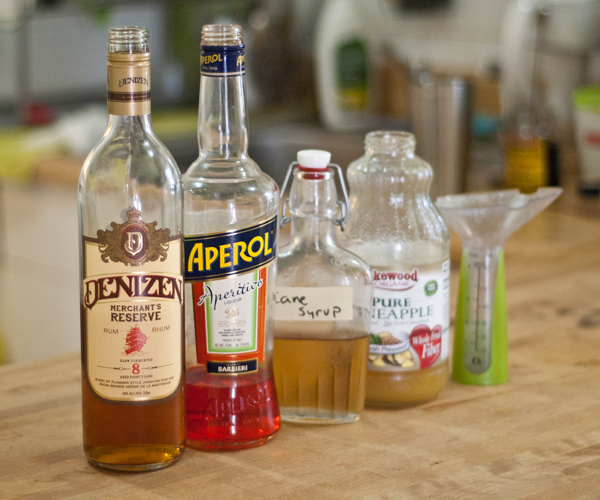 *Depending on the sweetness of your Grenadine, you may need to cut back to 1/4 oz. Wintry and complex right? It’s amazing to me how different Amari (and yes, I think of Jäger as a German Amaro) can evoke such different moods or seasons. May all your Tiki The Snow Away flavor combinations and discoveries be eye-opening and your festivities be filled with cheer! Woo! This Denizen Merchant’s Reserve Rum is giving me ALLLLLLL sorts of ideas. 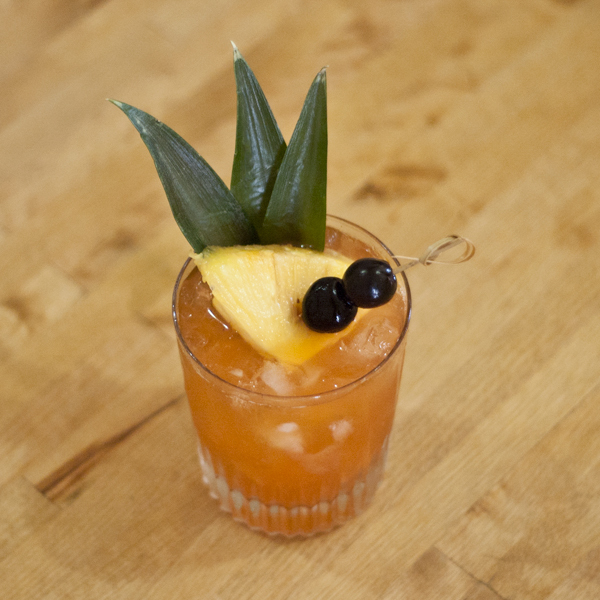 I’ve been rolling through the Beachbum Berry’s Total Tiki app and making a lil checklist of recipes I’d like to try with this most excellent of Rums. Needless to say, the list is getting quite long. If you guessed that Tropicbird is a variation on a Jungle Bird, you’re right! Congrats! You know your Tiki drinks! 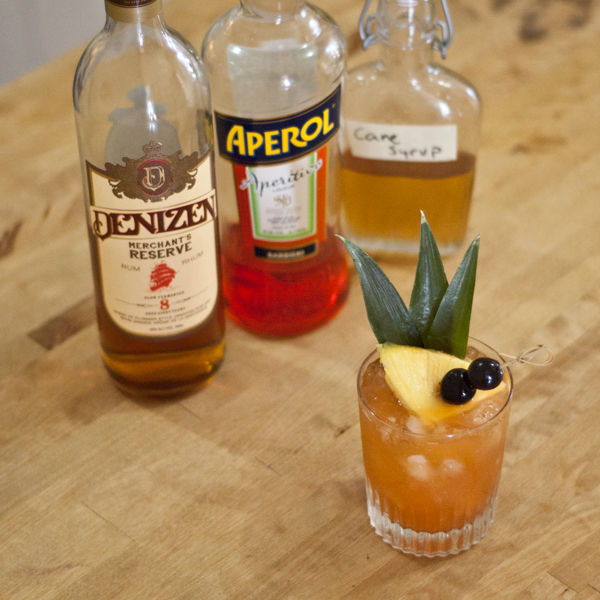 The subbed ingredients in this cocktail are Merchant’s Reserve (subbed for Jamaican Rum), Aperol (subbed for Campari), and Cane Syrup (subbed for Simple Syrup). I also reduced the amount of Pineapple Juice because I didn’t have to cut the bitterness of Campari with extra juice. Pretty pretty Tropicbird. Won’t you sing to me? Combine ingredients over ice and short shake. Strain into double Rocks glass over cracked/crushed ice and garnish. *1:1 Ratio of Cane Sugar and Water. My my, you’re the prettiest bird I’ve ever seen. 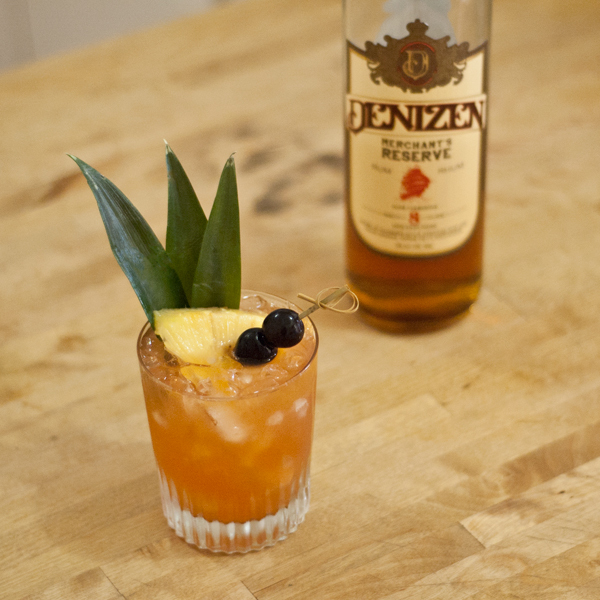 Thanks to Denizen for creating this undeniably fabulous Rum! Seeing as I had just run out of Angostura 7, and had been meaning to get the Plantation Barbados 5 since I threw that 4th of July Daiquiri Party, I immediately ran to the liquor store. Luckily they had the very bottle I was looking for, so I bought it, ran back home and made the drink described below. 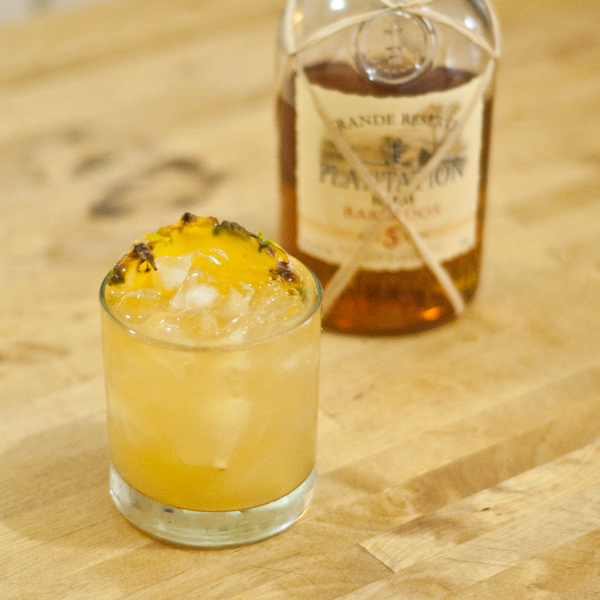 Now, I LOVE Plantation Rums. They’re aged in used Cognac barrels and meticulously scrutinized for maximum flavour. Well y’all, the flavour is totally there. The Barbados 5 Year Rum has tropical fruits, grasses, a bit of caramel smoothness, leaves a pleasant long finish, and plays well with others. It REALLY plays well with the above ingredients. 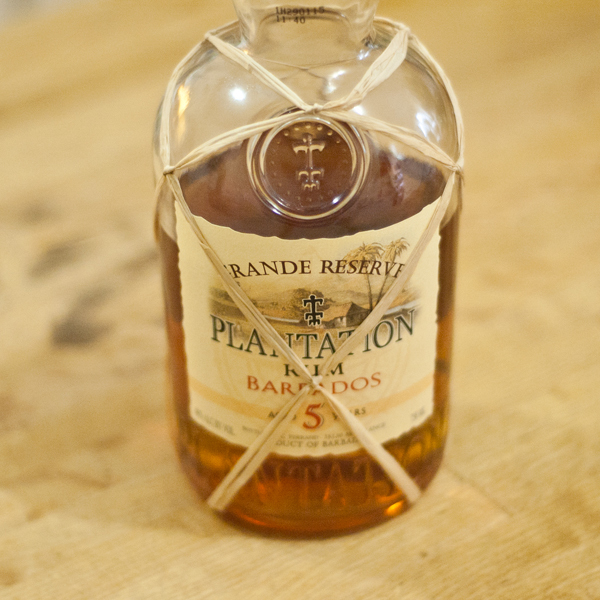 In fact, Plantation Barbados 5 Year Rum plays so well with these ingredients that it’s been my new favourite Rum cocktail for at least two weeks. 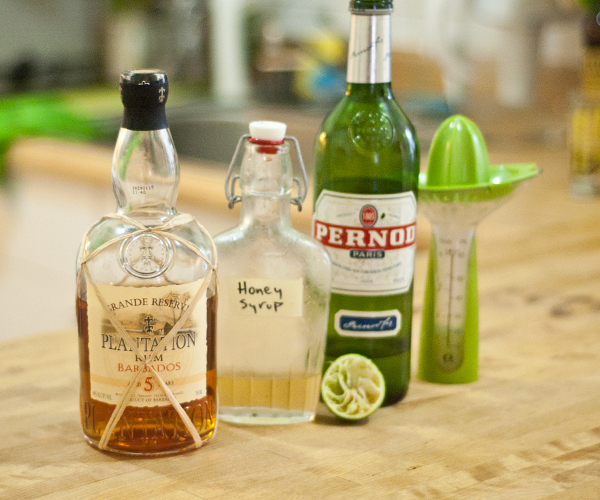 Rinse a double Rocks glass with Pernod and chill. Combine remaining ingredients over ice and short shake. Strain into rinsed glass over cracked or crushed ice and garnish. 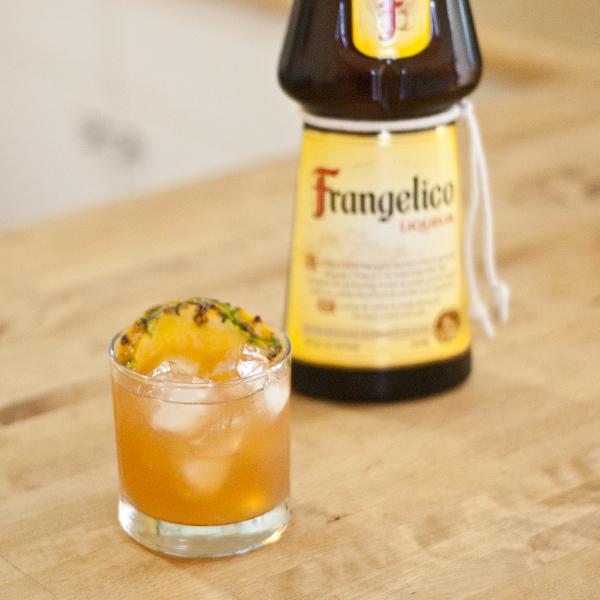 *This drink is also awesome with Vanilla Bean Syrup subbed for Honey Syrup. Damn, so dreamy, so fulfilling, I would die one thousand of these Little Deaths. 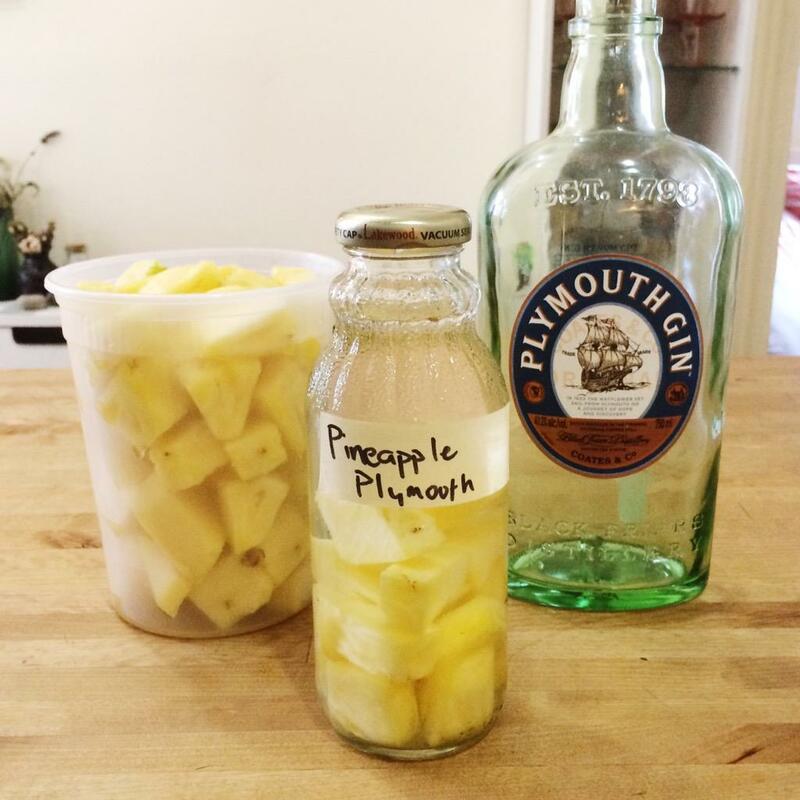 The Pineapple Plymouth Gin is back! Cut up a Pineapple. If it isn’t fresh, it isn’t going to work. No canned fruit allowed! 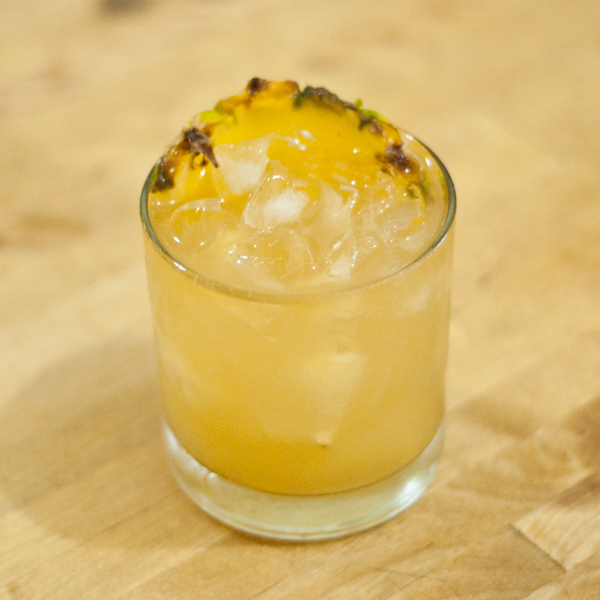 Throw some of the Pineapple in a jar. Add some Plymouth Gin. You want to get about equal parts of each ingredient by volume. Let it sit for a few days, shaking several times per day. Taste it. Does it need more Pineapple? Add more Pineapple. When it tastes magnificently, Strain and keep it in the fridge. and the one which put this particular infusion on the map, my version of Police and Thieves. Happy infusing to you all!